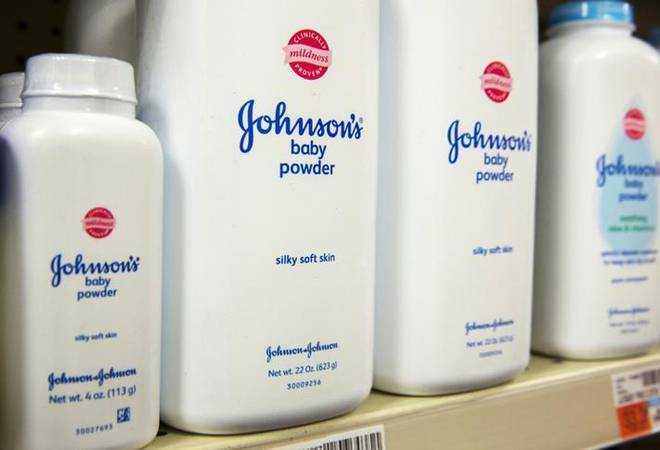 Johnson and Johnson said on Wednesday that Indian drug authorities visited some of its facilities and took "tests and samples" of its talcum powder. India's drugs regulator has ordered Johnson & Johnson to stop manufacturing its Baby Powder using raw materials in two of its Indian factories until test results prove they are free of asbestos, a senior official said on Thursday. The official at the Central Drugs Standard Control Organization (CDSCO), who declined to be named citing the sensitivity of the matter, said a written order had been sent to the U.S. company telling it to stop using the "huge quantities" of raw materials stocked in its plants in northern and western India. J&J's Baby Powder is one of the most recognised foreign brands in India along with Colgate toothpaste and Surf detergent. The company started selling its Baby Powder in India in 1948, just a year after the country won independence from the British. Presenting gift boxes containing the product and others aimed at newborns is almost a family ritual in this country of 1.3 billion people, 28 percent of whom are aged between 0-14. There is yet to be any significant signs of a backlash against J&J products in India because of the scare. At eight pharmacies across India visited by Reuters reporters on Thursday, seven said J&J remained the No. 1 seller of powder for babies. That doesn't mean it isn't under pressure from local and international competitors who sell talc-type powders, such as Bengaluru-based Himalaya Herbals, and Italy's Artsana, which produces Chicco baby brands. "It is really very, very shocking," said Sitaram Beria, a chartered accountant in the eastern city of Bhubaneswar. He said he stopped applying J&J powder on his six-month old baby after hearing about the Reuters report over the weekend. J&J leads sales in the Indian baby and child toiletries market, which market research provider Euromonitor estimates would be worth 12.5 billion rupees ($178 million) this year, and forecasts will grow 84 percent to 23 billion rupees in 2022. Euromonitor did not give a breakdown for baby powder alone but said J&J was the biggest player in the overall segment, followed by Mumbai-based VVF Ltd, Artsana, Wipro of Bengaluru and Himalaya. Himalaya said in a statement that its herbs-based baby care products "are exclusively promoted and recommended by over 40,000 doctors in the country, which is the greatest endorsement for us," while declining to provide any financial figures.